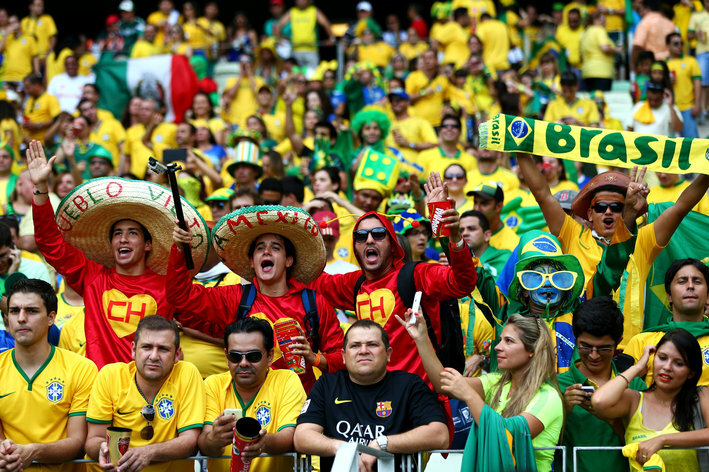 World Cup play has been nothing less than thrilling, with enough drama to fill Bravo’s TV summer line up. There’s been overly dramatic falls and equally dramatic play, not to mention a little zombie bite between friends. 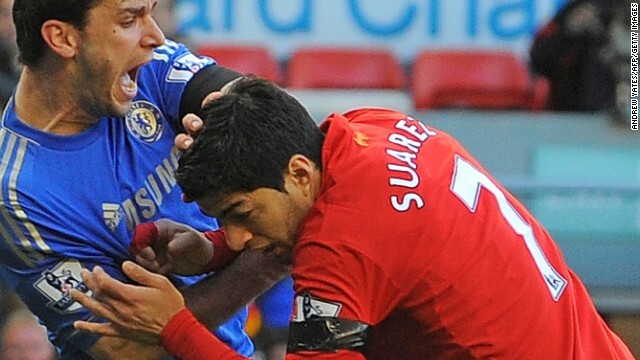 What is also on display, as it has been so often in sports this year, is gross racism. And I mean gross not just in the quality, but in the straight-no-chaser approach to ugly racial epitaphs, racist costumes, and hate language. 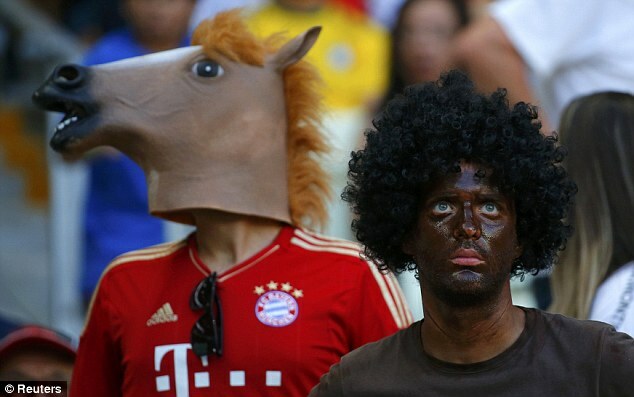 Some German fans decided their love for team Germany was best expressed by dressing up in black face. 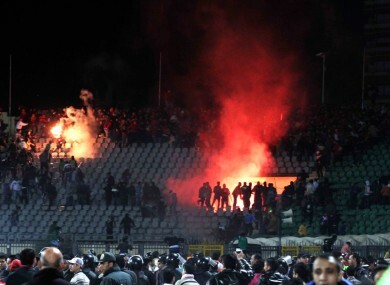 And to make sure they spread their fan feces beyond the stadium, fans uploaded pictures to Instagram, lighting up social media. 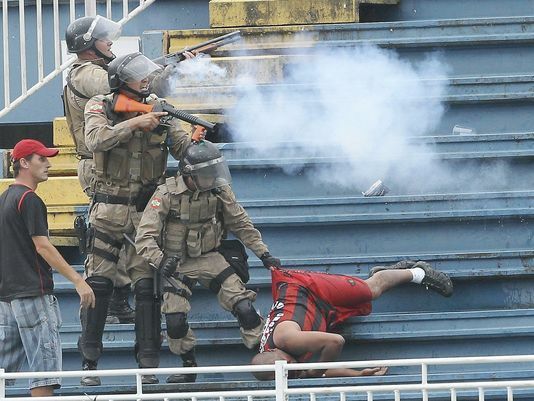 FIFA took note of the racist behavior and vowed an investigation into the behavior. Of course, race has played a gross recurring role in football. 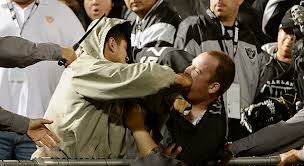 In just the past year alone we’ve seen fans fight it out and even players taunted on the field. 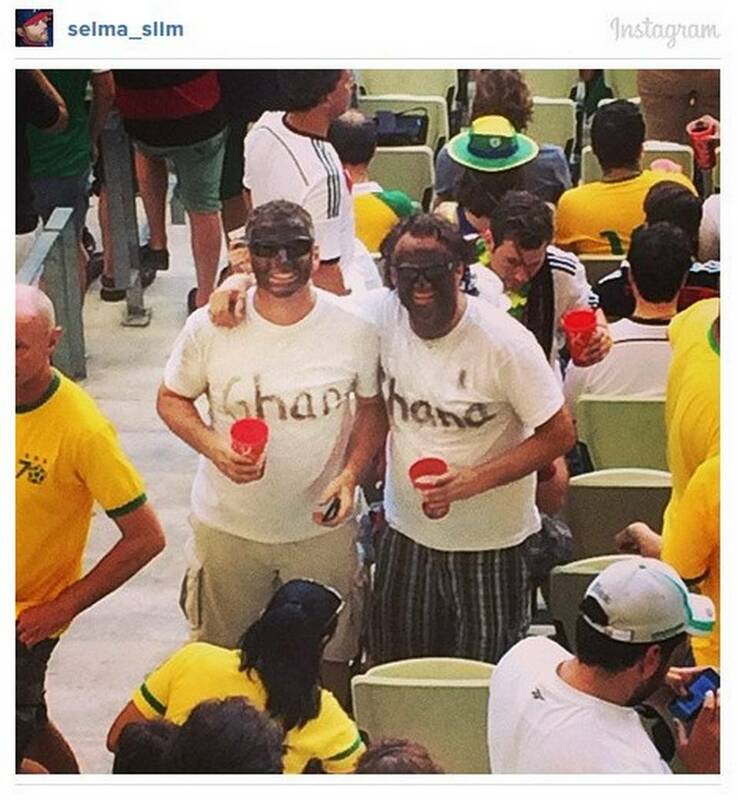 Is it because football fans are racists, or at least more racist than most people? 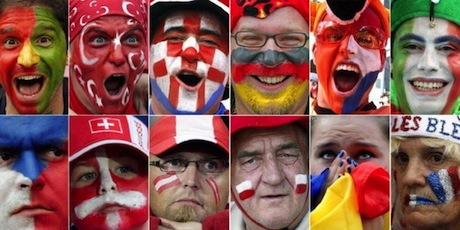 Football, like out own American sports, is more than a game, and the ability to paint our faces and pledge our fealty to the world is an old tradition still much desired even in our modern world. Sport is an opportunity to rise beyond the day-to-day existence to strive for a moment of glory and greatness–the hero’s summit at the top of his field has millions chanting his name, etched forever into the record books. Sport is also a chance to pledge our allegiance to our tribe, to show off our country’s colors, and to win in competion the right to say our people are the best people. 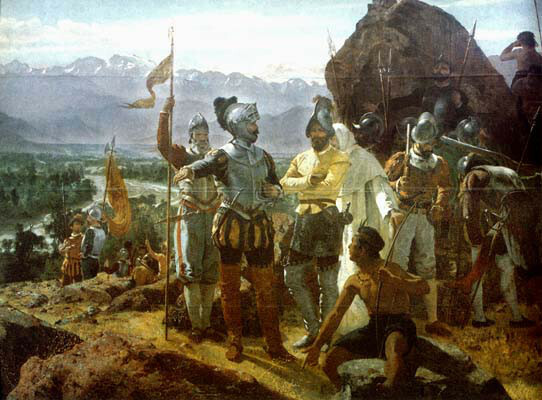 Hmm, all that competitive spirit, tradition, nationalism and a little beer–or a lot of beer and capirainnias. What could go wring? To be sure on the other side of the coin, sport also brings us together, yes in pitched battle, but one where the biggest victims are ego’s and pride. She’s not alone. Tweets and not a few twits have used the same argument in dismissing the recurrent use of black face and other racialized imagery in sports and other public events. The general idea is that since black face–as we know it today– originated in the American south, that it is only symbolically powerful when referring to African Americans, but outside of America, black face isn’t really offensive. That’s like saying since Hip Hop was created as an expression of African Americans, there can be no hip hop anywhere but in America, despite the fact that people around the world have been exposed to it. Black face has been exported as has American ideology–and now media–around the world. 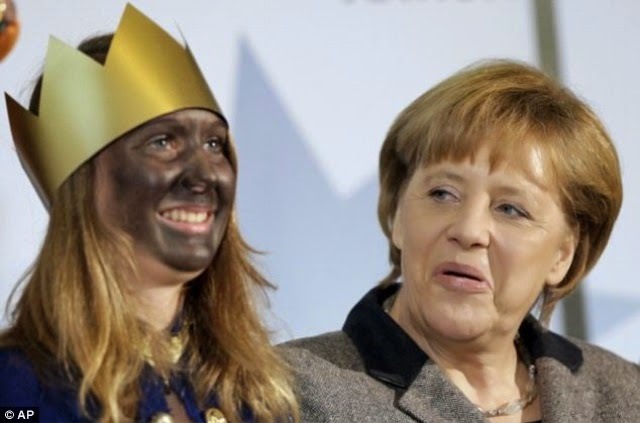 Let’s be clear: black face is offensive, even between Germans and Ghanians. Black face in it’s American Minstrel mutation is one symbolic representation of brown-skinned people that was part of a much larger, more complex colonial narrative–a story that colonizers told to justify the oppression of colonized people. Cultural narratives like this are grand and sweeping, showing up in the culture of the time, in literature, art, even science. The story shows up in entertainment in one mutation as black face. 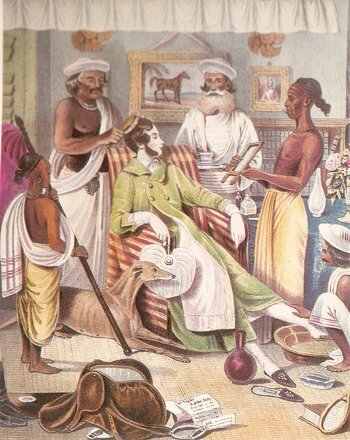 But that was not the only negative depiction of “others” during colonialism, which operated on all continents. To believe that the message contained in black face –the inhuman and uncivilized dark nature of the other–was contained in a few short centuries in America alone is to ignore the power and pervasive control of colonialism in all corners of the globe. Just as black face in America today is an echo of the same old racist story born in American slavery, so does the racism on display at the world cup ring the bell of colonialism, and the lingering ideas of racial superiority, poison seeds planted by years of political, social and economic imperialism. The games show us that racial conflict persists in our post racial world–even beyond America. Just as racism in America intensifies as the American population changes, so too with racism around the world. While America for sure has it’s own unique flavor of racism, changing demographics and increased mobility are bringing groups of people into new relationships. To really be a global village that won’t tear itself apart, we’ve got to be vigilant about dismissing the stories of the past so that we are careful they don’t become the stories of our future. Good post. You make some really vaild points. But I think these types of incidents prove we are nowhere near a “post-racial” society. I agree! Post racial should be in quotes.! dig it and for my part recommend to my friends. I am sure they will be benefited from tuis site.